A key component associated with replacing a legacy ATE system is the requirement for software tools that can facilitate test program migration. In most cases, these tools are focused on migrating the digital test aspects of the test programs. Additionally, the tools need to provide support for both simulation-based functional test programs as well as manually generated test programs. The analog portion of these test programs are relatively easy to migrate with conversion being facilitated by the creation simple parsing / scripting routines. 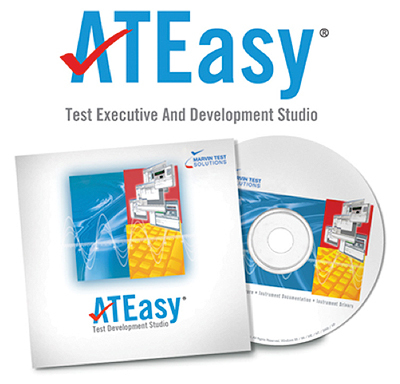 Teradyne’s LASAR product was a popular simulation tool that was used to develop functional test programs. Commercial tools are available today that allow users to migrate LASAR based programs by using the .TAP files that were originally developed for the UUT. Alternatively, software tools are available that can facilitate the migration of manually generated digital test programs. 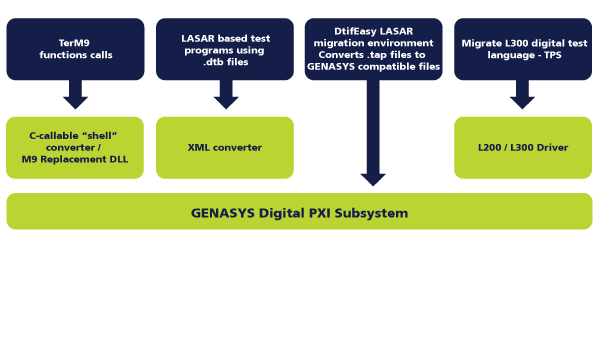 For example, Marvin Test Solutions offers an L200 / L300 software driver as part of its GENASYS platform which allows for a straight-forward conversion of L200 / L300 digital test code and vectors.